You may know the feeling well: you’re backing out of the driveway, trying not to be late, when you press the button to close the garage door and nothing happens. Or the door closes and bounces immediately back up. Or perhaps the door gets stuck somewhere in between, unsure if it wants to complete the job you’ve asked it to do. A temperamental or malfunctioning garage door can be a frustrating damper on an otherwise fine day. At FS Construction Services, we feel for you and that’s why we’re happy to offer an exciting new promotion to alleviate your garage door troubles. Now thru the end of March, purchase a new Raynor residential overhead door, one year from your purchase date, we will come out to perform a free preventative maintenance check. That is a $95-dollar value and one that will ensure your new Raynor Overhead Door continues to operate – worry free. While this service would normally cost $95-dollars, one of our expertly trained FS Construction Services technicians will perform the first maintenance check for free. Our goal is to ensure continued satisfaction with your Raynor garage door and annual maintenance and service helps to guarantee it will operate as beautifully as it is sure to look. 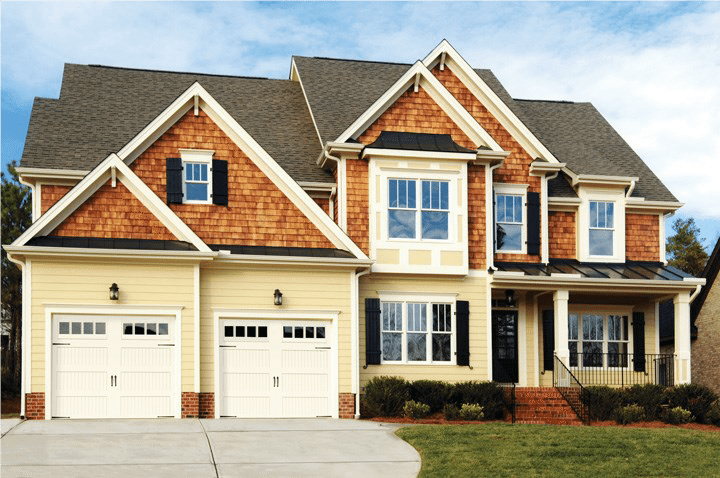 Our trusted partner, Raynor, has been consistently setting high standards in garage door quality and innovation since 1944. Plus, Raynor offers a wide assortment of options and styles. You can even design your own garage door with the Design-a-Door feature, guaranteeing you get the exact style to match your unique taste. At Gateway FS Construction Services, we want to make sure that you have the most satisfying purchasing and product experience possible. To take advantage of this great offer, give us a call at 866-551-3454 and let us know! We look forward to providing you the best customer service experience. One of the reasons we work so hard to cultivate the very best partnerships in our industry is so that when a particularly unique or custom job crosses our path, we know that we have the best people and the best solutions to get the job done quickly and efficiently. In the case of this animal feed system, our partnership with Brock Grain Systems allowed us to work with our customer to design and construct the exact storage and handling system they needed. Our customer had the rare problem of needing storage space for over twenty tons of rabbit pellets. On top of that, they also needed an easy to operate system that would be able to deliver those pellets for feeding. The FS Construction Services team rose to the challenge. After spending time with our customer to learn as much about the specifics of their goals for the perfect solution, we went to work evaluating the various available options. Within a few short days, our team of experts identified an excellent solution that met our customer’s specifications and budget. The winning solution, a state-of-the-art Brock ALL-OUT Feed Bin System was concepted, designed, constructed and recently brought online. The system includes a twelve-foot diameter, sixty-degree hopper that holds ample feed for the customer’s needs. While the storage bin itself is located outside of the building, the feed auger, unique to this particular system, runs through the sidewall of the building for easy feeding, making both customer (and rabbits) very happy. “It was a simple solution but one that required us to think a little outside the box for this specific project,” commented Greg Birchler, Operations Manager, FS Construction Services. At FS Construction Services, we pride ourselves on being able to meet every challenge head on and turn what may seem like a wild idea into a working reality. 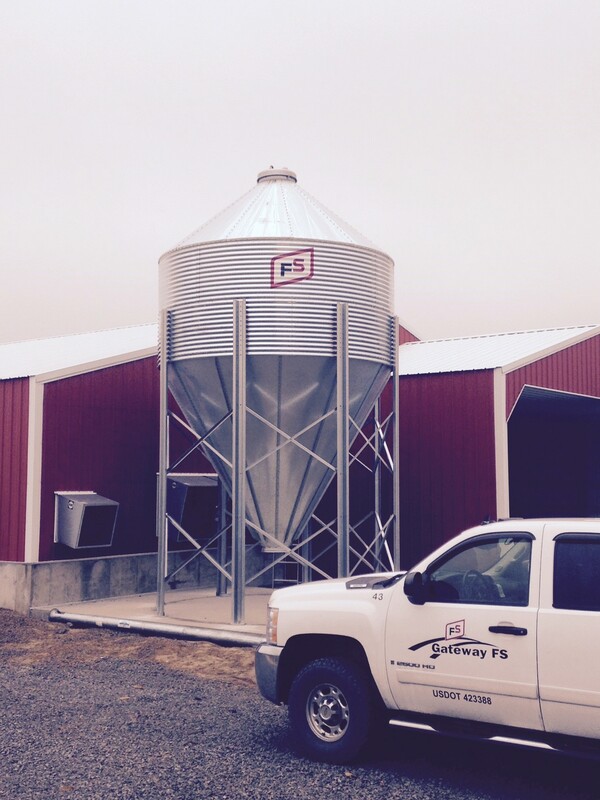 With over 40 years of experience as a construction, equipment and service leader in southern Illinois, we know our way around grain and storage systems, from animal feed to grain aeration, and everything in between. See more great featured projects at FSConstructionServices.com/Grain-Systems/. For all your wood or steel building, roofing & siding, grain system, overhead door and other maintenance service needs, call Gateway FS Construction Services. You can depend on us to provide the best products and services at the best possible price. For more information contact us at 866-551-3454. We look forward to providing you with the best customer service experience. If you’ve ever stood in front of a messy room, a cluttered garage, or dirty equipment hoping that it would somehow just clean itself, then you’re in good company. Cleaning your tools and equipment, while necessary, can be a time-consuming and painstaking process. Thankfully, FS Construction Services new partnership with USC has provided a solution that adds efficiency and productivity to the seed treating process – the new Stainless Steel Easy Slide Out Atomizer. The atomizer is at the heart of every USC seed coater, and as such, it is necessary to keep that high technical component clean and free of buildup. A clean atomizer applies liquids consistently and evenly to your seed, making it essential to any effective seed-treatment operation. Traditionally, this has been much easier said than done. However, USC’s innovative Stainless Steel Easy Slide Out Atomizer changes that. Plus, when you upgrade before March 31, you can take advantage of 10% saving! The Easy Slide Out Atomizer is a much more convenient, efficient alternative to the older, difficult-to-clean atomizers. This means no more unbolting your atomizer chamber and removing the cumbersome and heavy components. With the USC Easy Slide Out Atomizer, an easily accessible quick release handle is lifted, allowing the atomizer chamber to simply slide out for cleaning, inspection, or even just a quick view of what’s happening inside the treatment chamber. When you’re finished cleaning, the chamber slides back into place so it, and you, can get right back to work. With such an easy cleaning process, you won’t be tempted to “get around to it later”. Let FSCS-USC representative Justen Kempfer add efficiency, productivity and savings to your seed treating operation today. 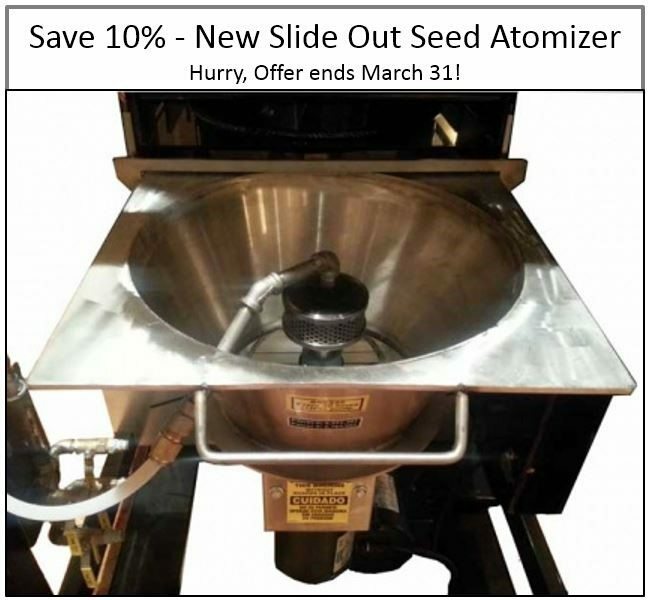 The Easy Slide Atomizer’s stainless steel build is designed to last, so your seed can receive accurate treatment year in and year out. Available in 13” and 16” sizes, the Easy Slide Atomizer comes standard on all USC coaters. If you would like to upgrade your old atomizer with a USC Easy Slide Out Atomizer, let FS Construction Services know today and you can begin saving yourself time, money, and labor. For all of your seed system and seed treatment needs, you can depend on Gateway FS Construction Services to provide you with the best equipment and the best service. If you are looking to ease your cleaning and maintenance process, give us a call at 866-551-3454, and let our specialists help you find exactly what you are looking for. We look forward to providing you the best customer service experience.